Brooks’s family moved to Asheville in Western North Carolina in 1983. Since then, he has spent 90% of his life here. After graduating from North Carolina State University with a degree in Turfgrass Management, Brooks has spent the past 17 years in the golf industry. For the past 10 years, he was the Superintendent at Balsam Mountain Preserve, a private community in Sylva, NC. 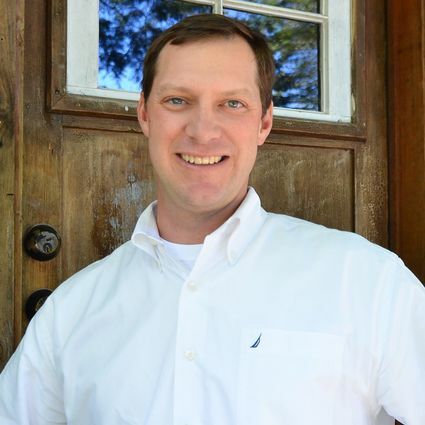 Having always loved real estate and wanting to make a career change that would allow him to blend that with his client services skills, Brooks pursued his NC real estate license. He recently joined Berkshire Hathaway HomeServices Meadows Mountain Realty as our newest agent and is ready to share his knowledge of the area with his clients. Brooks and his wife, Natasha have been married for 7 years and have three wonderful boys, Walker, Ian and Brady. They love spending their free time in the great outdoors as a family enjoying the numerous lakes that are in our surrounding area, mountain biking, hiking, and everything this magnificent area has to offer.